Enjoy the best inspirational, motivational, positive, funny and famous quotes by Al-Tabarani. Use words and picture quotations to push forward and inspire you keep going in life! Make haste in giving voluntary charity, for calamities cannot pass by it. 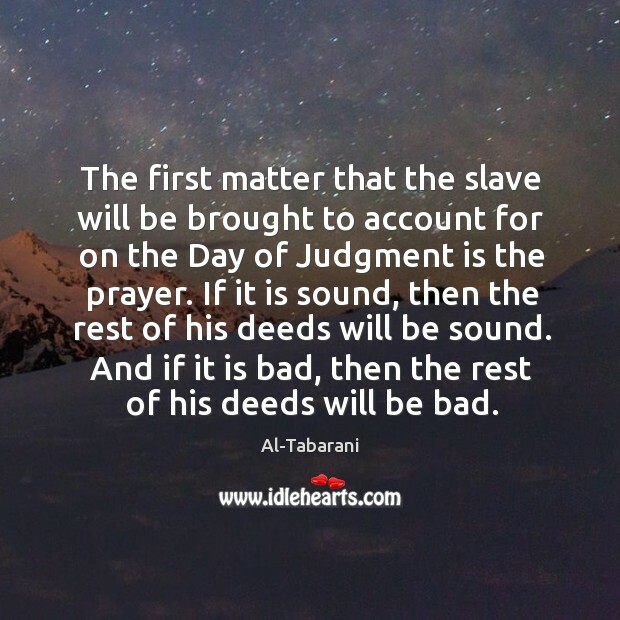 The first matter that the slave will be brought to account for on the Day of Judgment is the prayer. If it is sound, then the rest of his deeds will be sound. And if it is bad, then the rest of his deeds will be bad.